Pawn your Blue Diamonds! We offer Loans on Blue Diamonds! If the word diamond is synonymous with quality and luxury, blue diamond must, therefore, be synonymous with decadence and rarity. Naturally occurring blue diamonds are part of a diamond subcategory called fancy colour diamonds and are in high demand due to their natural blue colour. If you own or have recently inherited a blue diamond, you may desire to unlock its full financial potential and secure a loan on your blue diamond. At New Bond Street Pawnbrokers, we provide loans on blue diamonds at our London shop, including blue diamond jewellery or individual stones. We appreciate how parting with your asset may not be easy and always provide our customers with a professional, discreet service. If you would like the answer to the question, “how can I pawn my blue diamond in London?” we explain the pawning process below. How are blue diamonds formed? Natural blue diamonds are valued more highly than white diamonds which have been dyed blue because of their natural beauty and rarity. No two blue diamonds will ever be exactly alike, and this uniqueness makes blue diamonds incredibly appealing for collectors, investors and jewellers who will often be inspired by the individuality of a stone. A blue diamond is formed when boron particles are present and become trapped in the crystal lattice form of a diamond. Boron naturally absorbs yellow light thus making the diamond reflect a blue colour. The depth of the blue colour can vary with some stones having only a pale blue tint, while others reflect a deep, royal blue colour. The intensity of the blue colour is usually determined by the location and condition in which the diamond has been formed and cannot be altered once the blue diamond has been mined. If I pawn my blue diamond, how much will it be worth? As blue diamonds are incredibly unique, you will need your diamond to be valued by an expert. New Bond Street Pawnbrokers have the relevant expertise to determine the quality and worth of your blue diamond. As your blue diamond may have a high sentimental, as well as monetary, value we ensure to provide each and every one of our clients with exceptional service and offer the best price for their asset. If you are wondering, “what should I bring when I pawn my blue diamond?” the answer, aside from the diamond itself, is any documents relating to the diamond such as a bill of sale and any other information regarding its origin/previous owners. During the appraisal, one of our team will analyse your blue diamond, particularly its colour, clarity, cut, and carat to establish its value in the current marketplace. Often, blue diamonds with a darker colour are considered more valuable. For example, the Blue Moon of Josephine diamond had a ‘fancy vivid blue’ colour and was sold at an auction in 2015 for £37,396,080. Similarly, in 2018, an 8.08-carat Bulgari ‘fancy vivid blue’ diamond set in a ring sold for £14,266,994. 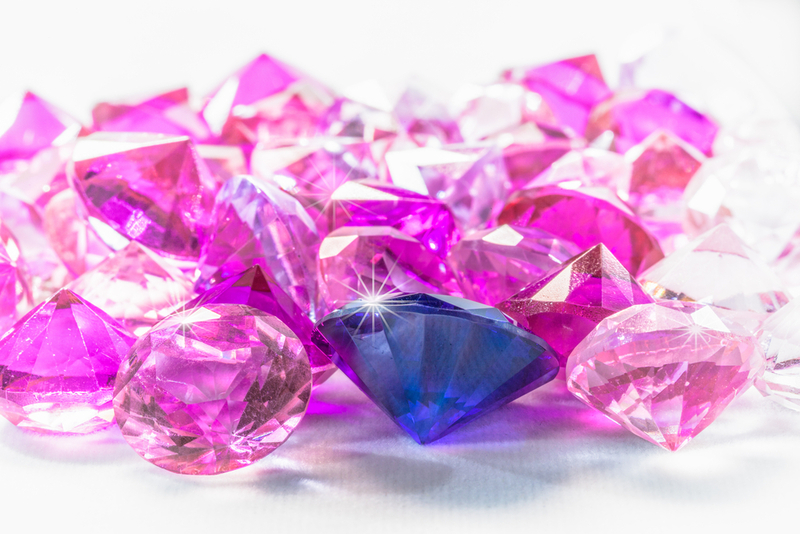 Securing a loan against a blue diamond is a straight-forward way to quickly access capital. Many of our elite clientele borrow against their assets to finance new investments and then pay off their loan when they need their asset returned. Alternatively, you can choose to sell your blue diamond to New Bond Street Pawnbrokers, as we always offer our clients the best price on the market. If you require any more information about securing loans on blue diamonds, do not hesitate to contact our team or visit our Mayfair store – appointments are not always necessary. For more information on services provided by New Bond Street Pawnbrokers please watch our video here and read about the loan process here.